Anyone who's ever had the pleasure of observing their dog's reaction to new people, new objects, new sounds or new dogs will know that they can respond in a variety of different ways. Some can be ecstatic, excited and seemingly over-joyed at meeting someone or something new. Others can be non-plussed and nonchalant, stand-offish even. While others can be downright annoyed, upset or frightened by the whole thing. When it comes to introducing a dog to a new baby, this is no time for experimentation. One of the UK's leading animal welfare organisations, The Blue Cross, explains more. As soon as you know there is a new baby on the way, you and your family will begin to prepare yourselves for the changes ahead. 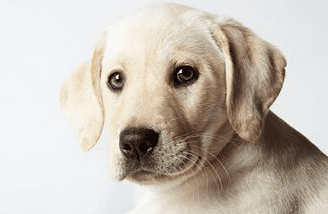 Your family dog will also need to be prepared for the new arrival, as there will be alterations to the home environment and routine once the baby comes into the house. With a little forward planning, you can get your dog used to the changes well in advance, so that he should hardly notice any difference when the baby actually arrives. You should start to make preparations four months in advance of the birth - do not leave it until the baby has arrived. The whole family can enjoy the benefits that having a dog can bring by following the advice in this leaflet. How will your dog react to your new baby? • What sort of relationship will you have with your dog when the baby arrives? • Once the baby comes, will you want to exclude your dog from certain areas of the house? • Does your dog have any behavioural problems? If so, they may get worse once a baby has arrived. You should contact your vet for a referral to a dog behaviour counsellor if you need help. If you are happy with your dog’s behaviour, then you can proceed with the general advice given in this leaflet. Your dog should be able to tolerate being stroked around the chest, shoulders, back, legs, tail and head without any problems. Handling exercises are to be done when your dog is calm and quiet – do not turn these exercises into a game or the dog may learn to wriggle, struggle and play-bite. Play tape recordings of a baby crying, gurgling and screaming for short periods, and always follow this with something your dog finds rewarding (e.g. give the dog a titbit or have a game). Repeat this procedure until the dog begins to associate the sudden onset of the crying noise with a treat. Get the dog used to baby powder, soaps, shampoos and baby milk by using them in the home in the weeks leading up to the baby's arrival. Playpens, cots, pushchairs, highchairs and changing mats should be in place before the baby arrives too. When you walk your dog now, think about how much exercise he gets, if he pulls on the lead, comes back when called or whether he is aggressive to other dogs. Once the baby arrives you will have to manage any problems in addition to wheeling a pram or pushchair. In addition, new mothers may be in some physical discomfort after having the baby, so you will need to make sure that the dog can be physically controlled. If your dog pulls on the lead, you could purchase a harness or a head collar (e.g. a ‘Gentle Leader’) that helps to stop dogs pulling. See how often friends or relatives might be willing to walk the dog while you are still pregnant. This will give you an indication of the amount of exercise he will receive if you are unable to take him out yourself. If you think the dog will receive shorter or fewer walks once the baby arrives then you need to change the routine a few weeks in advance. If the dog gets fewer walks he will need to use up his energy some other way, otherwise he will get bored. Bored dogs are not happy, and they may become stressed and destructive. Don’t try to make up for fewer walks by giving your dog more food treats. You will only make him overweight and unhealthy. Try to compensate for fewer walks by playing more games with him and consider paying a responsible dog-walker to take him out for you. Get your dog used to staying at home without you, by leaving him for short periods initially, and slowly progressing to longer periods. Consider joining a dog-training class. Visit the class without your dog before you book and always make sure the trainer is friendly and uses kind, reward-based methods of instruction without the use of choke chains and punishment. A large percentage of accidents occur when babies or toddlers approach a dog’s food bowl, or when the baby tries to take a dog’s bone or chew. Your dog will have to learn not to guard his food bowl and should learn how to take food treats gently – without grabbing the hand. Your new baby will take up a lot of your time. You will have visitors to see the baby, including family, friends, and health visitors. Even the best parents in the world are unlikely to be able to give their dog the same amount of attention once the baby arrives. The dog will feel left out if it does not receive attention after the baby is born. Your dog will quickly learn to do things which force you to take notice of it (e.g. stealing nappies). The best way to prepare your dog for a change in the amount of attention he receives is to try and reduce any contrast between the amount of attention he will receive before and after the birth. In advance of the baby’s arrival, the dog should be taught to tolerate periods when he does not receive any attention from you. You should regularly give your dog attention for 20 minutes. Then, when the 20 minutes is up, you should completely ignore the dog for the next 20 minutes (no verbal, physical or eye contact) as should anyone else in the household. Dog toys and baby toys are often made of similar materials. Some toys even make the same kind of noise, such as a squeak. It is not surprising then, that some dogs become confused about who owns the toy. Limit the number of toys that your dog has to two or three and pick them up and put them out of reach at the end of a game. This will teach your dog that you are the one in charge of the games. In addition, it prevents the baby from accidentally picking up the dog’s toys and putting them in its mouth. Encourage your dog to give up their toy for you whenever you ask. Never be aggressive when you attempt to take the toy from the dog – otherwise you will teach him to guard his toys. dogs should always have a quiet, safe place to go to whenever they need to rest. This will be especially important to them once the baby arrives and eventually begins to toddle about. Dogs will need to be given their own space. Teach the dog to go to a place (e.g. a mat in the corner of a room). It can be close to you and makes the dog feel safe and happy. An indoor kennel (also known as a cage or dog crate) could also be considered for those times when the dog needs peace. You should decide if you intend to change where your dog currently rests and sleeps, once the baby has arrived. For example, if it lies on your sofa every evening and sleeps next to you in bed, are you happy for this to continue? If not, make all changes well in advance so the dog does not associate the change with the arrival of the baby. Make sure that your dog is in good physical health. Your dog should also be free from fleas and worms. Any suspicions about illness or developing ailments should be checked out by a qualified veterinary surgeon. Any pain or irritation that the dog experiences will lower his threshold for aggression (i.e. if he is in pain, he will be less tolerant about being handled and more likely to growl, snap or bite). When a new mum meets the dog dog for the first time after coming out of hospital, the dog is probably going to be very excited. The best way to carry out this first introduction will be when the dog is tired – after a long walk and play session. Firstly, the dog should be reunited with the mother when she is not with the baby, as the dog is likely to get excited and jump up at her. Later, the baby should be introduced in a quiet room where the dog has few associations - not in a place where the dog usually sleeps or eats. Associate the baby’s presence with positive, enjoyable experiences for your dog. When your dog is behaving well around the baby, give lots of gentle praise and tasty titbits. The first interaction should be under control with the baby being held in the adult's arms and the dog allowed to sniff the child. The dog will appear interested for few seconds and will then lose interest. When he backs away you should praise him and give him a treat. Carry on with the normal daily duties and routine and the dog should accept the new arrival readily. dogs will by very patient while you adapt to life with a new baby, so don’t forget to include them. dog owners should be aware that their baby will soon start crawling and toddling, and that it is important for them to remain vigilant once the child starts to move about of its own accord. It is especially important to provide the dog with a safe place to rest and relax, which is inaccessible to the toddler. This will avoid the situation where the dog is continually followed, cornered and pestered by the infant.